The Triceratops is easily recognised thanks to the three horns found on its face as well as its large body and the unique frill around its head. Find out just how big they were, what they ate and why they needed their horns. 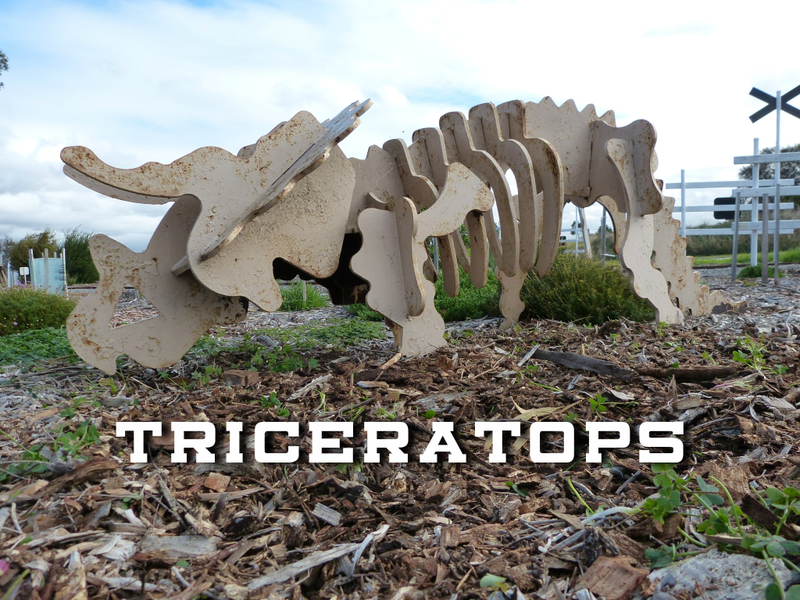 The Triceratops is one of the most easily recognizable dinosaurs due to its large body, unique frill and three horns. It needed its three horns to try and protect itself from the Tyrannosaurus Rex which lived during the same time period. 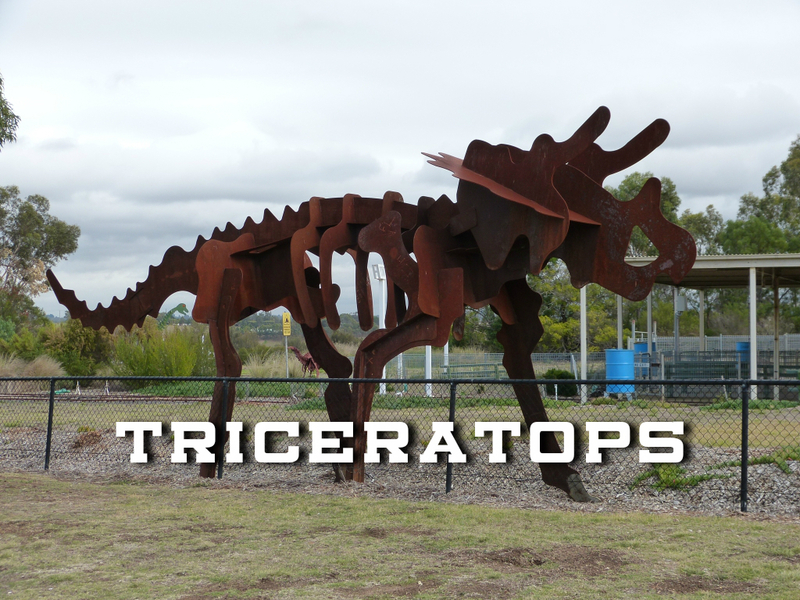 It is believed that fully grown Triceratops were about 8m (26ft) in length, 3m (10ft) in height and weighed anywhere between 6 to 12 tons (5,500 kg). The skull of a Triceratops alone could grow over 2m (7ft) in length. The first known fossils to be that of a Triceratops were horns attached to a partial skull, found near Denver, Colorado in 1887. Triceratops had anywhere between 400 and 800 teeth, although only a small percentage of these were in use at any one time as they were constantly replaced throughout its lifetime. Triceratops was represented in the popular Transformers toy line and animated series as Slag, an Autobot that could transform into a Triceratops form. Tyrannosaurus Rex is possibly the most well known dinosaur due to its huge size, ferocious nature and regular appearances in popular media. Thanks to a number of well preserved fossils, the T-Rex has been studied in detail by palaeontologists all around the world. 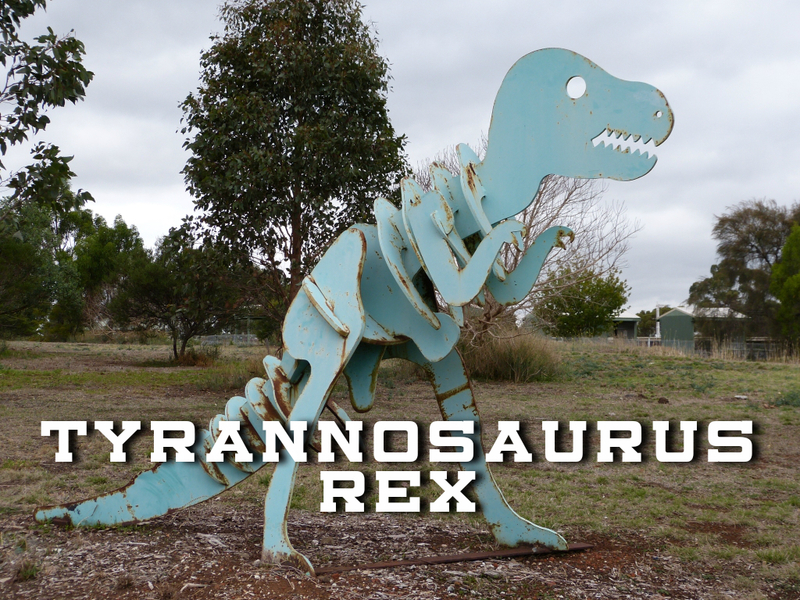 There is also strong debate about whether Tyrannosaurus Rex was a predator or scavenger. It had small arms which would have made it hard to grip prey, suggesting it may have been a scavenger. On the other hand, evidence in favour of it being a predator includes its forward pointing eyes which give better depth perception and make it easier to hunt. Part of a group of dinosaurs known as Stegosauria, the Stegosaurus was a large dinosaur that featured unique bones and plates along its spine. Read on and find out where the Stegosaurus lived, what its name means, how fast it could run, the size of its brain and lots more interesting information. 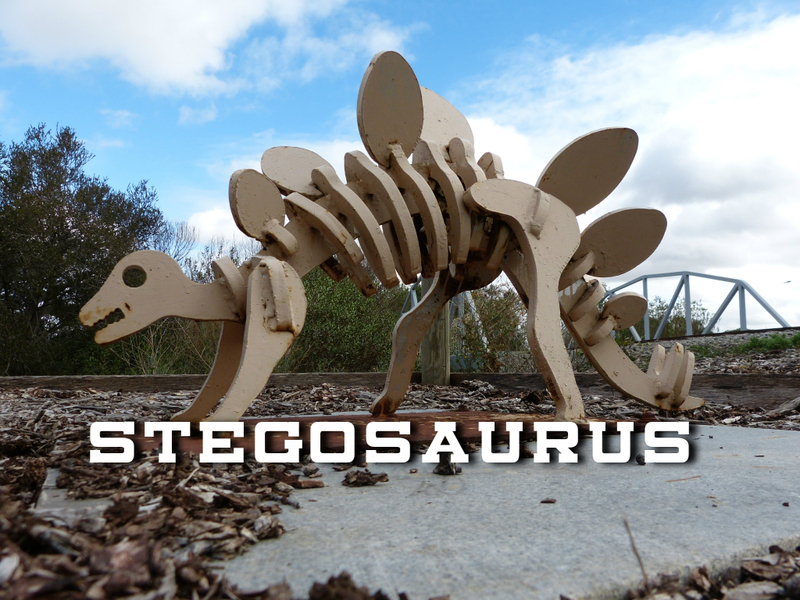 The Stegosaurus was alive in the late Jurassic Period (around 150 million years ago). Stegosaurus fossils have been found in western North America and more recently in Portugal, indicating that they lived in Europe as well. In terms of size, the Stegosaurus was large and heavily built. On average, a fully grown Stegosaurus was around 9 metres (30ft) in length, 4 metres (14ft) in height and up to nearly 5 metric tons in weight. Although the Stegosaurus body was large, the size of their brain was only around the size of a dog’s. The 17 plates found along the back of the Stegosaurus arose from the skin rather than being attached to the skeleton. The largest plates were around 60cm (2ft) tall and 60cm (2ft) wide. The Stegosaurus also featured tail spikes that reached around 60cm (2ft) to 90cm (3ft) in length. 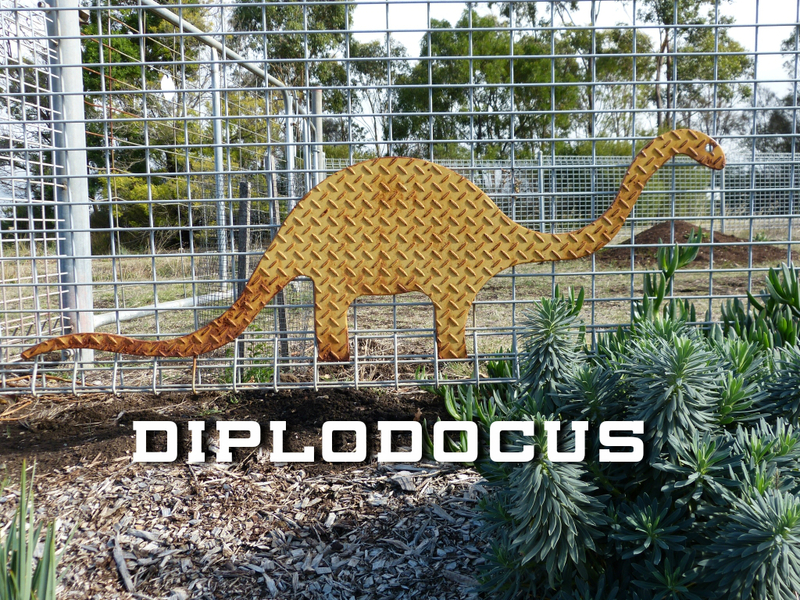 The Diplodocus is a well known dinosaur that has been popular in various documentaries, cartoons and movies. It has a classic dinosaur shape and scientists around the world have been able to study it in detail thanks to the large number of Diplodocus fossils found over the years. The name Diplodocus comes from the Greek language and means ‘double beam’, this refers to strangely shaped bones found in the Diplodocus tail. The Diplodocus is a well known dinosaur that is popular in films, documentaries, as toy figurines and has been featured in a large number of museum exhibitions around the world. A large amount of fossil remains have made it easier for scientists to study the Diplodocus compared to many other dinosaurs. Diplodocus lived in an area that is now western North America at the end of the Jurassic Period, around 150 million years ago. Although longer dinosaurs have since been discovered, Diplodocus was thought to be the longest for many years. Research suggests the Diplodocus could have been as long as 35m (115ft) and around 10 to 15 tons in weight. Diplodocus had a long tail which contained around 80 vertebrae. Early research suggested the Diplodocus might have swum in water but more recent studies have indicated that water pressure on the chest would have made it too difficult for the Diplodocus to breathe out of its nostrils. The Allosaurus was a large dinosaur that lived around 150 million years ago. It was a carnivore with big, sharp teeth and there is even evidence to suggest that it attacked the much heavier Stegosaurus. Allosaurus lived around 150 million years ago in the late Jurassic Period. The name Allosaurus means ‘different lizard’. Allosaurus had a large skull and walked on two legs. Its body and head were balanced by a long and heavy tail. Like the Tyrannosaurs Rex, the Allosaurus had short arms. It had three fingers that were each tipped with sharp, curved claws. Research suggests that the average length of an Allosaurus was around 8.5 metres (28 feet) and that it weighed around 2.3 tons. 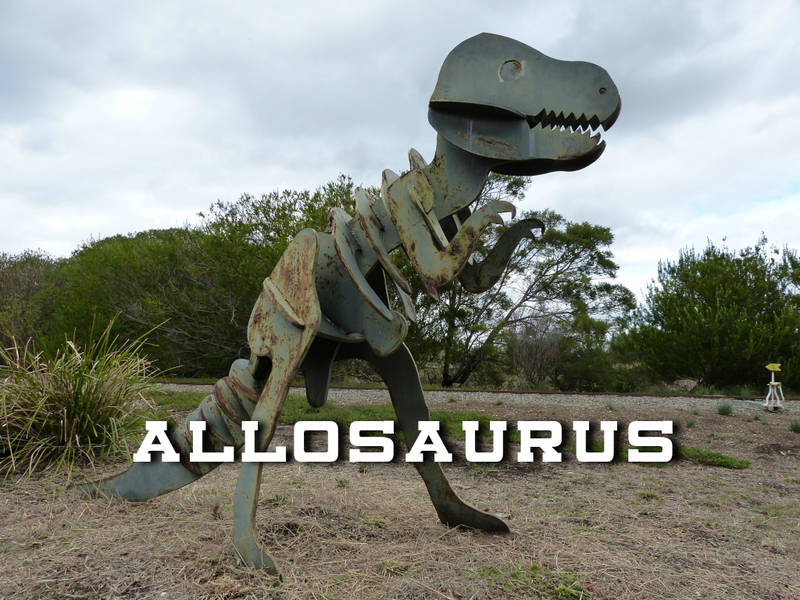 Allosaurus was a carnivore (meat eater) and featured big, sharp teeth that had edges like saws. 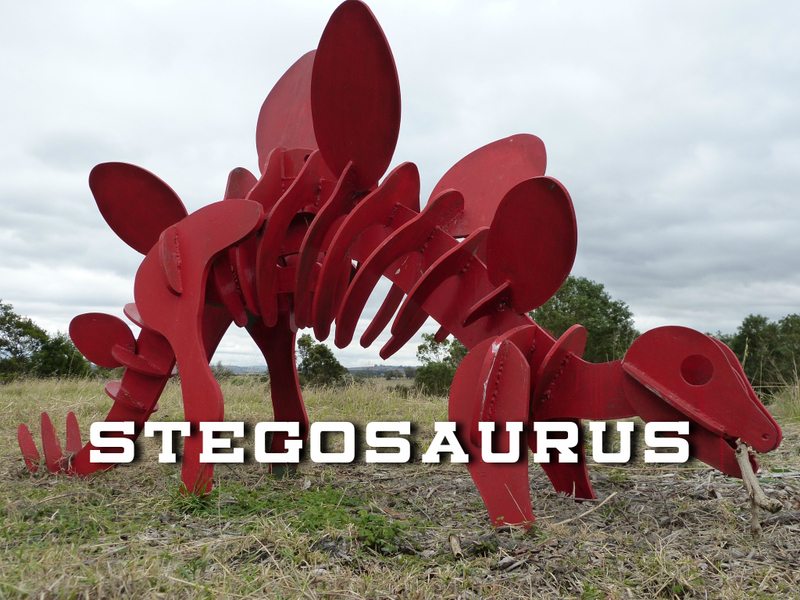 They were active predators and there is evidence that they attacked Stegosaurus. The Brachiosaurus was a huge dinosaur that ate between 200 and 400 kilograms (440 and 880 pounds) of plants every day! It had a relatively small tail compared to other Sauropods, reached around 26 metres (85 feet) in length and even had an asteroid named after it. The Brachiosaurus is a type of dinosaur known as a Sauropod, they are famous for reaching incredible sizes. Other members of the Sauropod family include the Diplodocus and Apatosaurus. 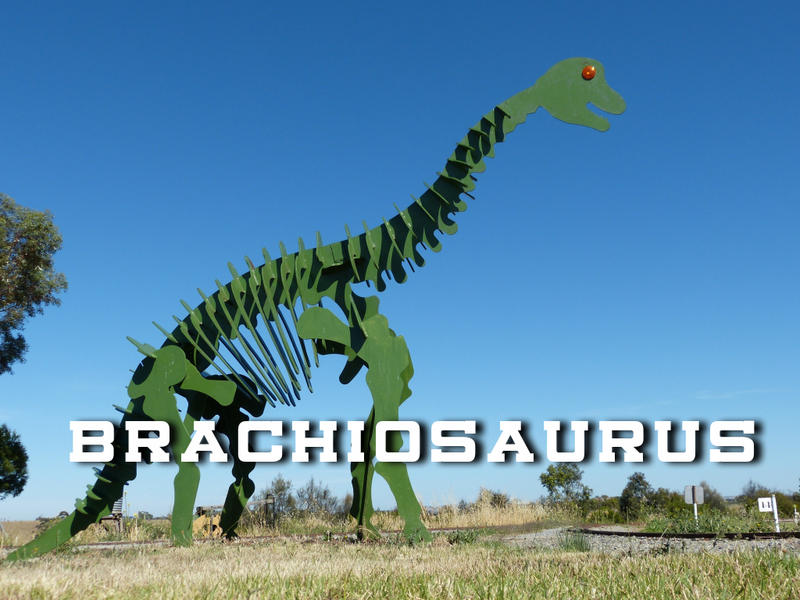 The name Brachiosaurus comes from Greek words meaning ‘arm’ and ‘lizard’. The name refers to the interesting nature of Brachiosaurus legs which were longer at the front than the back. Brachiosaurus lived in North America. The first fossils were found in the Colorado River of the United States of America in 1900. Elmer Riggs first described the giant dinosaur in 1903, calling it “the largest known dinosaur”. The Brachiosaurus had a long neck, a small head and a relatively short tail compared to other Sauropods. The Brachiosaurus walked on all four legs. The weight of Brachiosaurus has been estimated between 30 and 45 metric tons. The length of Brachiosaurus is believed to have been around 26 metres (85 feet). The Brachiosaurus was a herbivore (plant eater), that feed on foliage high above the ground. It is estimated that Brachiosaurus ate between 200 and 400 kilograms (440 and 880 pounds) of plants every day! It wasn’t until 1994 that the original Brachiosaurus fossils found by Elmer Riggs were shown in a museum. An asteroid found in the main asteroid belt of the Solar System was named after the Brachiosaurus. Although it featured some nasty looking claws, the Velociraptor was actually a lot smaller than it was portrayed in the movie Jurassic Park, more the size of a turkey than a human. The name Velociraptor means ‘swift seizer’. 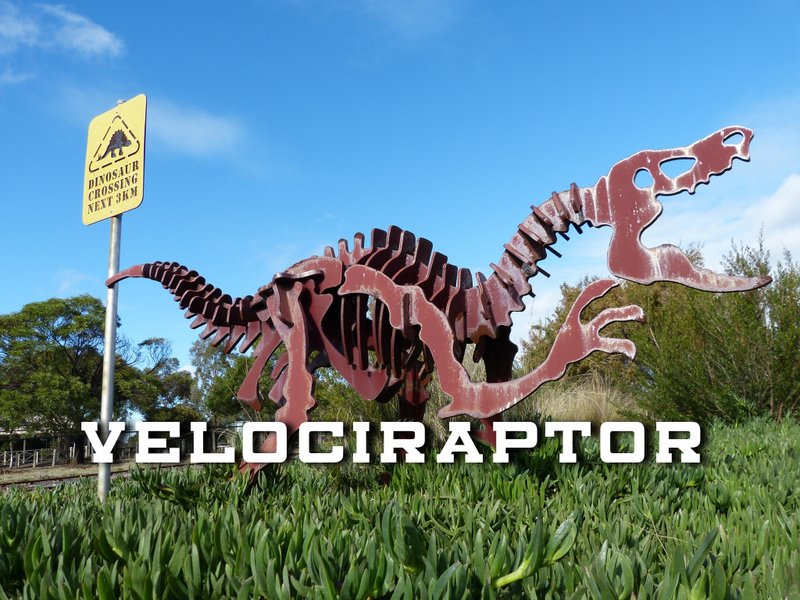 Velociraptor lived in the late Cretaceous Period (around 73 million years ago). The Velociraptor played a large role in the Jurassic Park movies but was often shown inaccurately. Rather than being a larger, human sized dinosaur, the Velociraptor was around the size of a Turkey. It is also believed to have had feathers that were not shown in the movie portrayal. A fully grown Velociraptor could grow up to 2m (6.6ft) in length, 0.5m (1.6ft) in height at the hip and weigh up to 15kg (33lb). The Velociraptor is thought to have killed its prey with sickle shaped claws on its rear feet. The first known Velociraptor fossil was found in the Mongolian Gobi Desert in 1922. One of the most famous dinosaur fossils ever found features a Velociraptor in the middle of battle with a Protoceratops. 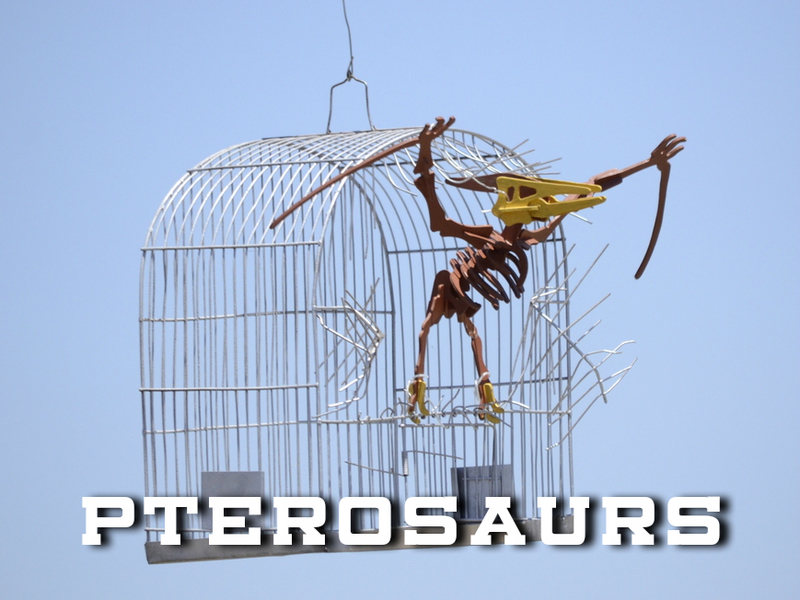 While the dinosaurs ruled the land, the Pterosaurs ruled the sky. Pterosaurs are flying reptiles that lived alongside dinosaurs during the Mesozoic period. They include the largest animals ever to fly, with some in the group being as large as a jet fighter and as tall as a giraffe. Pterosaurs didn’t have feathers like birds but instead had a wing made of a membrane of thin skin. The wing was attached to the body and the arms and looks similar to a bat’s wing. But unlike a bats wing, a Pterosaurs wing was supported by one very long finger that could be metres long (the finger is the same as our pinky finger). There were approximately 100 different species that have been found so far. Pterosaurs became extinct at the end of the Mesozoic period, 65 million years ago which freed the skies for bats and birds today. Their wingspans ranging from 50 cm to 13 meters.